High Accuracy Reader - The test accuracy is improved significantly by the newly designed air in-flow path. Besides that, a magnetic shield is also built around laser sensor to block electric charge interference to ensure the stability of the testing results. 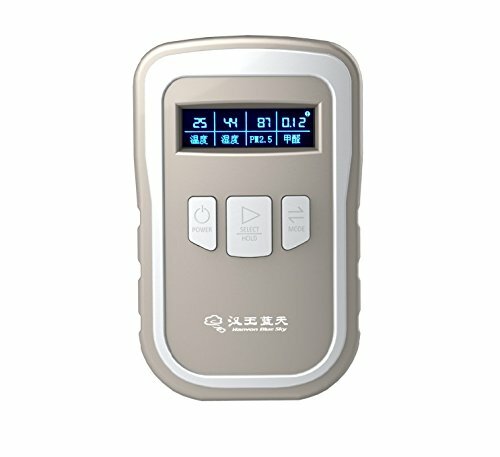 Multiple Index Testing - AiRead will tell users the real time PM2.5/PM1.0/PM10, HCHO, temperature, and humidity level at the same time with one single click. Smart Device Compatible - Download smart phone App to pair with AiRead to access the real-time air condition, historical data, air quality map and weather forecast even when you are in a remote location. Hardware Upgrade - LCD display with user friendly interface, easy to operate, 2000 mAh battery capacity allows AiRead to work continuously for 60 hours, firmware online upgrade is also supported when available. GPRS + WiFi Cloud Data Transfer - Besides traditional WiFi data transfer, a Micro SIM card slot is designed to upload air condition data to the cloud in outdoor environment even without WiFi coverage. If you have any questions about this product by AiRead, contact us by completing and submitting the form below. If you are looking for a specif part number, please include it with your message.